Nice Stretch X is a patented, low profile night splint for patients with heel pain, especially the pain associated with first steps in the morning. Unique X-straps create dorsiflexion without discomfort. Soft design with encased stays allows limited ambulation during night, if needed. 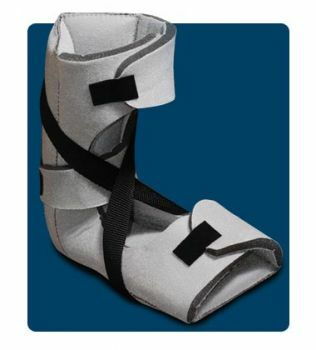 Boot folds and transports easily so treatment continues whether at home or away. Materials are not made with natural rubber latex.